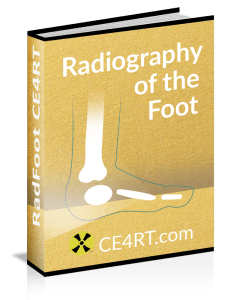 This article discusses X-ray CE requirements for radiologic technologists in Connecticut. Beginning on October 1, 2008, licensed radiologic technologists in Connecticut are required to maintain ARRT registration OR earn at least 24 X-ray CE credits in the preceding two years. Connecticut CE requirements for radiographers and radiation therapy technologists are 24 hours of qualifying continuing education activities in the preceding 24 months. Each CE hour must be a minimum of 50 minutes of CE activity. The continuing education should be in the area of practice and reflective of the professional needs of the radiographer. The Connecticut Department of Public Health (CDPH) does not approve or review continuing education courses. 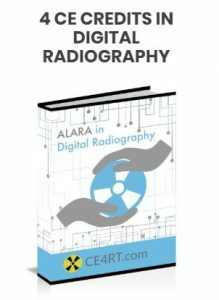 It is the radiographer’s responsibility to ensure that CE credits meet the state and ARRT requirements. Our online courses are approved by the ARRT* and qualify for Connecticut State CE requirements. In addition to biennial CE credits, radiologic technologists who became certified by the ARRT after January 1, 2011, are required to complete CQR requirements every decade to maintain their certification. You may need additional courses to complete the targeted CE activities recommended during CQR. Radiologic technologists in Connecticut are required to obtain a certificate of completion for CE activities. Documentation of continuing education hours must be retained for a minimum of three years after the year in which the activities were completed. At CE4RT, we provide an instant certificate upon completion of the course and a passing grade in the post-test. At the time of license renewal, technologists must attest to compliance with Connecticut X-ray CE credits. Although the certificate does not need to be mailed in to the CDPH, it must be made available upon request. Technologists applying for renewal of their Connecticut radiographer’s license for the first time are exempt from continuing education requirements. Waivers may also be granted for a specific period of time to technologists who are not currently in active practice or those with medical disability. Continuing education waiver or extension in Connecticut can be requested by completing this form and submitting to the CDPH. Following an exemption or waiver, radiographers must complete CE requirements before returning to active practice. We have a comprehensive package of courses for X-ray techs working in Connecticut. These Connecticut X-ray CE credits can be earned online and are approved by the ARRT*. 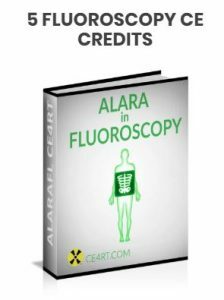 For example, the above bundle contains Mammography Review (15 CE credits), ALARA in Fluoroscopy (5 CE credits), and Digital Radiography (4 CE credits). This is a total of 24 CE credits. 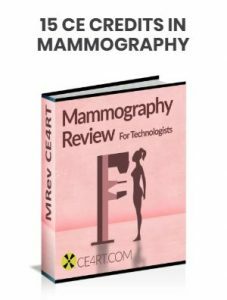 It is a hassle-free way for mammographers working in Connecticut to earn X-ray CE credits that comply with both state and ARRT* requirements. Similarly, bundles can be put together for technologists in other disciplines. The Connecticut Society of Radiologic Technologists (CSRT) is affiliated with the ASRT and represents the interests of radiographers in the state. The CSRT assists radiologic technologists by providing relevant educational resources, networking forums, and job listings. 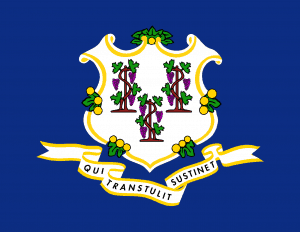 Founded in 1938, the society provides legislative representation to imaging professionals in Connecticut. The society’s mission is to enhance the quality of patient care and maintain high standards of training. Visit the CSRT website for more information on membership and upcoming events.